We aim to dispatch your items within 3 working days, however this may be delayed in busy periods-we will advise if this is the case. Postage is via Royal Mail 1st class. General Terms and Conditions ALL INFORMATION, TEXT, IMAGES, DESIGNS AND DOORS RELATING TO FAIRYDOORZ AND THIS WEBSITE ARE PROTECTED BY COPYRIGHT LAW By accessing our website, and or purchasing our products, you agree to be bound by the terms and conditions set out below: Times: A timescale of 2 weeks (14 days) is given for each order to be processed, made and posted. Postage: Royal mail 1st or 2nd class standard post is used. Locations: Delivery is for the UK - please contact via email if overseas is required and a quote for delivery cost can be calculated. THESE DOORS ARE DECORATIONS & NOT TOYS. They are not suitable for under 3's due to small parts that may cause a choking hazard. Supervision is required for younger children. All items are handmade and therefore each item will vary slightly in size, shape & decoration. There may be small discrepancies between the photographs on the website and the received item. Fairydoorz cannot be held responsible for this. Designs may be altered & discontinued at any time without prior warning - without Fairydoorz being liable or holding any obligations whatsoever. Order Information Please mention by emailing info@fairydoorz.co.uk at the time of ordering if specific goods are required for a special date. Order confirmations will be emailed to you. If you live outside of the UK, please order by email. Making Purchases To make a purchase just browse the relevant pages and add the product you wish to purchase into your shopping cart. When you have finished, click on the 'view cart' button where a page will appear for you to complete in order to finalise the purchasing process. Payments Information Payments can be accepted by credit or debit card using Paypal via Philippa@fairydoorz.co.uk – this is a quick and secure method of payment. You do not need to have a Paypal account. See www.paypal.co.uk for further details. You may also pay by cheque. If you would prefer to pay by cheque please e-mail info@fairydoorz.co.uk with the details of your purchase, so stock can be allocated ready for you. Please do not use the shopping basket when paying by cheque - email your order and then an email invoice will be sent to you with the postage and packing costs included. Cheques payable to: Fairydoorz. 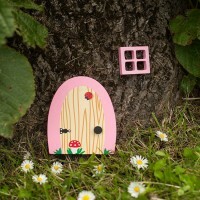 Goods shall remain the property of Fairydoorz until full payment has been received. Goods will only be dispatched once full payment has been received and cheques sent have been received and cleared. Therefore, please allow a minimum of 4 working days for a cheque to clear (once banked). Despatch Information Fairydoorz is unable to accept responsibility for delays beyond their immediate control. This expectation may change during peak periods and is dependent on the time of day that the order is placed or received. Orders are dispatched on a first come, first served basis. Your invoice will be attached to your order or will follow within 48 hours of despatch of the goods. Delivery Information. All finished items for UK delivery will be sent by Royal Mail 2nd class. All items for delivery outside of the UK will be sent by Royal Mail International Signed For Service. A signature will be required upon delivery. You will receive an email notifying you that your items(s) have been dispatched with an estimate for date and time of delivery. Any time or date for delivery is given in good faith but is an estimate only and we shall not be held liable for the consequence of any delay, however caused. Proof of postage will always be kept for each parcel. 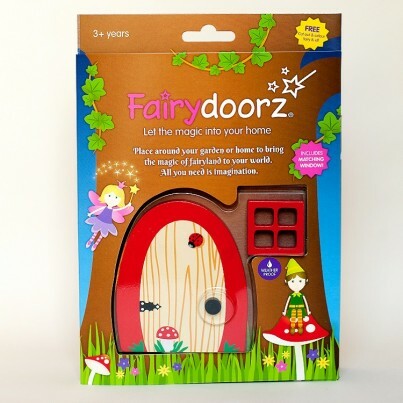 Late/Non Arrival of Delivery If your delivery is late or doesn't arrive within the quoted delivery timescale, please contact us by emailing info@fairydoorz.co.uk. In the event of a non-delivery we can only allow a replacement/ refund after 20 working days has passed. This is the timescale set by the Royal Mail to classify a parcel as lost. Checking the delivery Please make sure that you check your items as soon as possible after delivery. Credit requests, order anomalies and damaged goods should be reported within 7 days of receipt of goods. Out of Stocks/ Back Orders In the event that a product is out of stock, we will contact you and give you the choice of a refund (including delivery costs), placement of the product on back order or an alternative product. 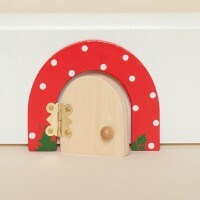 Website Fairydoorz has no knowledge of any infringement of copyright on this site, or in the information provided. Access to this website may be suspended temporarily and without notice in the case of system failure, maintenance, addition of new functionality and repairs or for reasons beyond our control. We shall not be liable for any costs which may be incurred by you as a result. The material on this web site is subject to change. Particulars are for guidance only and do not form any part of a contract or agreement. Prices may increase or change at any given time without prior warning. We reserve the right to change the prices of products at anytime without notice. Current prices supersede those given in previous price lists. All prices quoted exclude delivery unless specifically included. 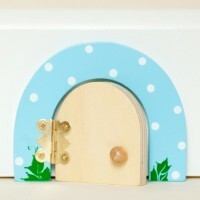 If you live outside of the UK, then please email info@fairydoorz.co.uk to obtain a delivery quote. We reserve the right to refuse any customer. We reserve the right to amend these terms and conditions without notice. Links From time to time, we show links to other websites of interest. This does not imply endorsement of these sites. We bear no responsibility for the content of these sites. This website contains material which is owned by or licensed to us. This material includes, but is not limited to, the design, layout, look, appearance and graphics. Reproduction other than in accordance with the copyright notice, which forms part of these terms and conditions. Complaints Procedure Should you find it necessary to make a complaint, please email us via the contact us page or direct at info@fairydoorz.co.uk giving as much information as possible regarding the issue. We will endeavour to acknowledge your complaint by the next working day and resolve your complaint within 10 working days. Fairydoorz will not be held liable for any direct, indirect, special incidental or consequential damages arising out of the use any items bought from this site. Your use of any information on this website is at your own risk for which we are not liable. It is your responsibility to ensure that the services, products and information meet your own requirements. Cancellation Policy You must confirm in writing or e-mail that you wish to cancel. 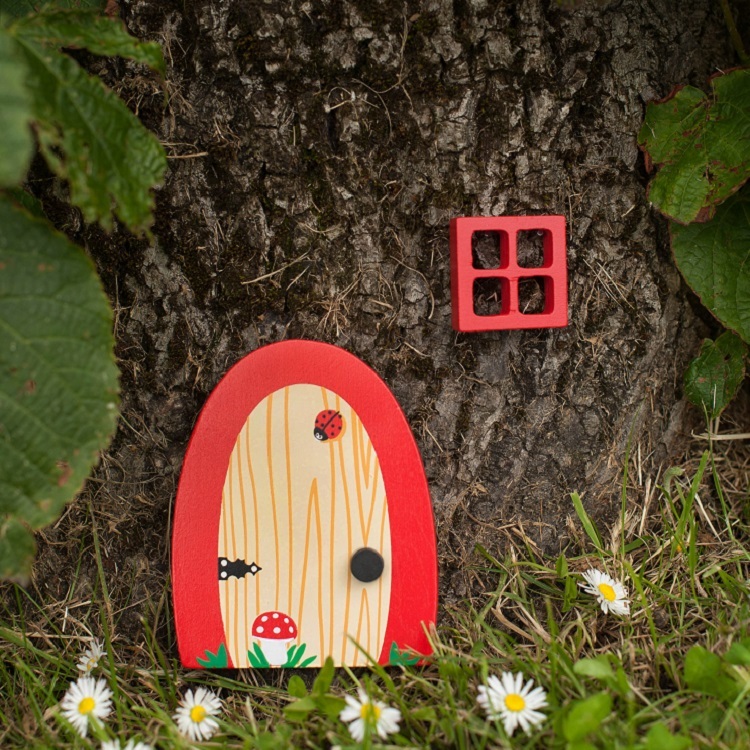 You have 7 days from the receipt of goods to cancel your order (this does not apply to custom made fairy doors - personalised or colour / decorations of your choice (these cannot be cancelled). You will be liable for the cost of returning this item to us at Fairydoorz. Once you have e-mailed/written, we will then confirm the return address to post back to us. We require the returned goods to be in the same condition as when sent (re-saleable). We understand that packaging may not be fully intact. When registering with Fairydoorz your e-mail address is kept on file and from time to time we e-mail offers and information to you. *The UK LAW is the applicable Law. We are happy to exchange or refund any purchases you are not happy with within 7 working days from receipt. If an item arrives damaged or not as ordered, please inform us within 24 hours of receipt to arrange a replacement or refund. To return an item please complete our product returns form to notify us of the return. Once a returns form has been filled out we will communicate where to send the returns to. Please do not return anything to us without completing a product returns form as we will be unable to accept it. All returns must be wrapped securely and sent via registered mail, keeping the receipt incase goods are lost or damaged in transit. We cannot accept liability for goods lost or damaged in transit. Please be sure to clearly mark your return shipment as returned goods on any customs or postal forms. We will refund all sums, with the exception of postage and packaging costs. Delivery/packaging costs and return postage will only be refunded if the item is faulty. Only items that are in their original packaging and re-saleable, unused condition will be refunded, others will be returned to the customer at their own cost. All overseas orders will be refunded in Sterling. Fairydoorz cannot be held responsible for any fluxuations in exchange rates and consequent loss of currency as a result. We would ask our customers to consider this before placing an overseas order.